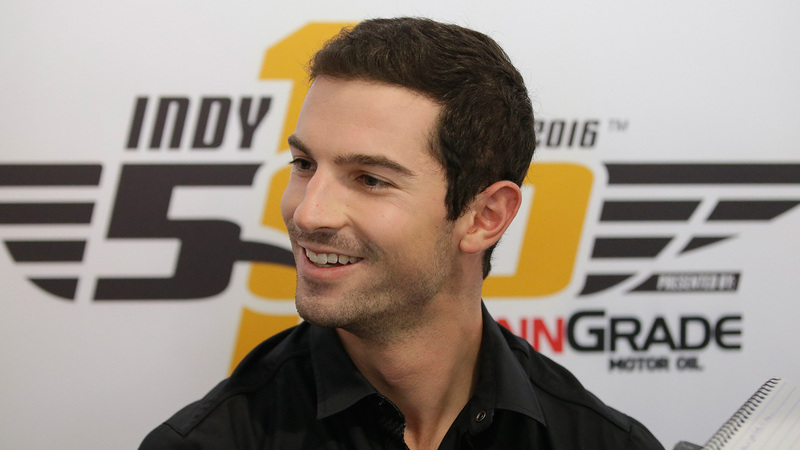 SPEEDWAY, IN -- Alexander Rossi has won the 100th running of the Indianapolis 500. The rookie managed to conserve fuel while the leaders pit in the closing laps Sunday, coasting across the finish line on fumes to give Andretti Herta Autosport a stunning victory in the centennial race. Carlos Munoz was forced to pit for fuel from the lead with four laps to go, allowing Rossi to assume the lead. Munoz only spent a few seconds in the pits, then tried to track Rossi down in the final laps. He wound up second with Josef Newgarden third, Tony Kanaan fourth and Charlie Kimball fifth. The last rookie to win the showcase race was Helio Castroneves in 2001.